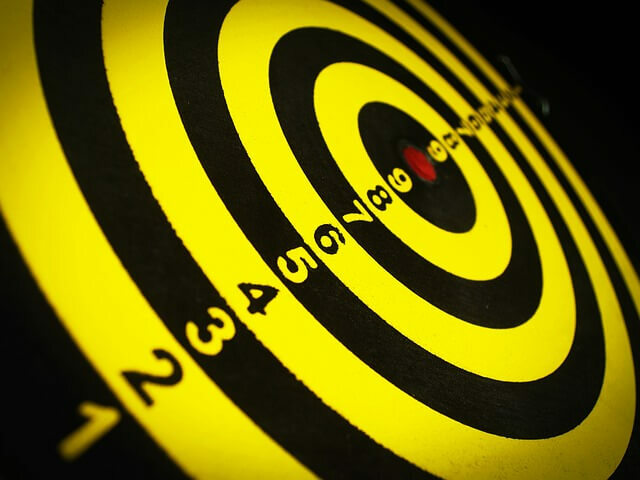 Think of your marketing as one of those big Robin Hood targets with all the rings and a small yellow bullseye in the middle. Most people believe that marketing goes in the outer circle. The job of marketing in this circle is to advertise. Take what the factory/system/boss gives you and hype it, promote it and yell about it. That’s called advertising.This is what so many charities, politicians, insurance companies, financial advisors, computer makers and just about everyone else does. The next circle inward has so much more leverage. This is the circle of telling a story that resonates with potential customers. This is the act of creating alignment, of understanding worldviews, of embracing and elevating. Smart marketers in this circle acknowledge that their product or service isn’t for everyone, but bend over backward to be sure that some people will be able to fall in love with it. The next circle is easily overlooked. This is the act of changing what surrounds the actual product or service, adding enough usability and support and atmosphere that the perception of the product itself changes. When you go to an expensive restaurant, you’re buying far more than what the chef cooked. Products and services are only commodities if you treat them that way. At the innermost circle is the product or service itself. When the thing you sell has communication built in, when it is remarkable and worth talking about, when it changes the game, marketing seems a lot easier. Of course, that’s because you did the marketing when you invented the thing, saving you the expense and trouble of yelling about it. When in doubt, when your marketing isn’t going well, the answer is to go one circle in.